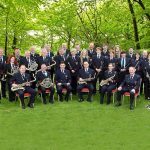 The Barrack Street Concert Band presents The Artane Senior Concert Band – Celebrating 30 Years of Music. 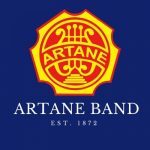 The Artane Senior Band was formed in 1988 to provide opportunities for past members of the Artane Boys Band to meet and continue to play together in a formal capacity. Two years previously, past pupils of the Artane Boys Band had been invited to play at the centenary celebrations of the bands association with the GAA. This had been a tremendous success with over 300 musicians taking to the field in Croke Park. It also provided the catalyst for a reunion of players which would become highly recognised and respected orchestra in its own right. A committee was formed and the Artane Senior Band soon became a reality. The first rehearsals took place in October 1988 for a trial period of three months. In April 1989, the newly named Artane Senior Band formally hosted their first concert at the Artane complex, to a packed house! In 1991 the band travelled to Glasgow and Celtic park for a very special football match- Packie Bonners testimonial. In 1992 the senior band played a major part at a celebratory concert in the National Concert Hall to mark the 120th anniversary of the Artane Band and went from strength to strength under the talented baton of Joe Lynch. Unfortunately on November 17th, 2011, Joe passed away suddenly. Everyone associated with Artane and the Senior Band in particular, mourned the sudden loss of a monumental character, a talented conductor, arranger and Director of Music. Twenty six years later the Artane Senior Band still rehearses every Tuesday night and regularly plays at concerts, festivals and events all over the country. It has become, and remains, a hugely successful venture, and has surpassed every expectation of the original proposers. The band now sees graduates of the Artane School of Music among its members and is firmly established as a premier concert and marching band of the highest calibre. The band is currently under the baton of our Director of Music, Mr Ronan O’Reilly. The Barrack Street Concert Band has been playing its music in Waterford since 1870. 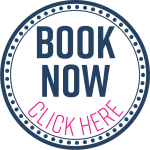 One of Waterford’s living treasures it lends its musical talents to the cultural and leisure life of our city as well as to local charities and organisations. The Band was formed at the Mount Sion Christian Brothers School on Barrack Street, and originally called ‘The Amateur Band’ . In 1895 the Band became known as the ‘Barrack Street Brass and Reed Band’, as its instrumentation changed to include both brass and reed instruments. After some changes in location over the years the Band now resides at Green Street where they built their bandroom using the volunteer labour of their members and friends. The hall was officially opened on August 16, 1968. 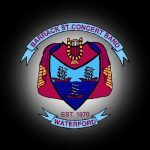 In 1981 The Band changed its name to the one that is so well-known throughout Waterford today, The Barrack Street Concert Band. The new name reflected another change in instrumentation, including a full percussion section. One of the highlights of the band’s calendar this year will be this joint concert with the renowned Artane Senior Band to celebrate their 30 Year Anniversary. The band is currently under the baton of Musical Director Mark Fitzgerald.